In light of this week's events, this seemed like a fitting Wordless Wednesday! @stevebethere - Wishing you a very happy and healthy holidays! I definitely needed that laugh today! Merry Christmas to you from Create With Joy! 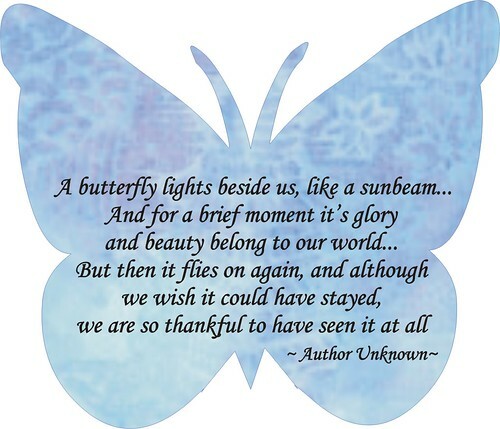 @The Paper Princess - Butterflies are indeed a rare and special gift, and bring a sort of magical beauty to a moment! Lovely sentiment.Wishing you and your family a joyous hoilday.